In a wide-ranging speech in Paris on Monday, the vice president of the European Commission, Joaquín Almunia, reserved a strong warning for Nokia. Following the agreement to the $7.2 billion (£4.38 billion, AU$7.87 billion) sale of its devices business to Microsoft in November, Nokia held onto its portfolio of patents, one of the most valuable in the mobile industry. Selling its smartphone business could clear the way for Nokia to enforce its patents more aggressively in the global market. This new stance would see them evolve into a so-called 'patent troll', a company which looks to obtain its revenue solely by exploiting their licenses. 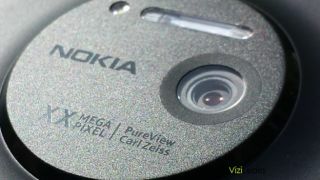 Last year Nokia's chief financial officer said that he saw "good opportunities" for profit in Nokia's pool of patents. Almunia warned that "if Nokia were to take illegal advantage of its patents in the future, we will open an antitrust case". The threat of opening of such a case would give the company a good incentive to regulate its actions. He later added "I sincerely hope [we] will not have to." Nokia has not been unafraid of using lawsuits alleging patent infringement in the past. In 2012 it filed lawsuits against HTC in Germany and the USA for patented parts in mobile devices but didn't persevere because of the threat of counter-lawsuits on its own devices. Having now sold that sector of their business removes that threat to Nokia. The Commission had previously dismissed the possibility that Nokia would attempt something along these lines when it allowed Microsoft to acquire its devices division. Although Nokia has not said that it would use its portfolio to take action against other companies, its sheer size, nearly 39,000 patents, may compel it to do so. Can Nokia teach Microsoft to be one company?